I’ve been working on this for awhile. Because of other stuff going on, it’s been slow going. But I’m almost done with the tree. We sent our acceptance packet back to Austin, TX, last week.. and found out today that it was never delivered! Ugh. Turns out that the clerk who wrote down the address for the overnight package (mailed Wednesday, supposed to arrive in Austin by noon on Thursday) wrote down the wrong zip code… mistakes happen. But then, apparently this mistake was discovered Thursday morning, but nothing done about it! So when I called our agency today to find out why we hadn’t heard that they received our package, and found out they actually hadn’t…. then Jim got on the phone with the mail service company, and found all this out. UGH!!!! FORTUNATELY, this has no affect on our status, travel, etc.. just a minor glitch in the referral process. Now, hopefully, our package arrives tomorrow at Austin office. Whew! In other news, I still haven’t finished painting the nursery! 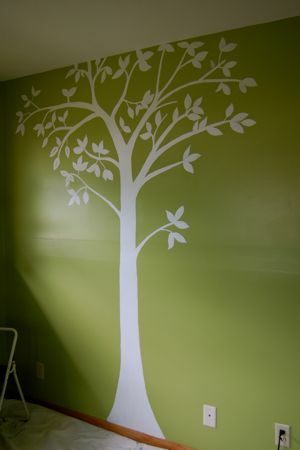 I decided to add another coat of paint to the one wall that I’m painting a tree on. Probably unnecessary, but I really wanted to do it. But we’ve been so busy lately, that I didn’t get the chance to add the other coat of paint until yesterday. This week is also busy, but hopefully I’ll be able to get more done for the adoption stuff. And, I still can’t wait to meet our girl. Fortunately for us, today’s earthquake in China did not do damage in her province, but there are some of our agency’s families affected. It’s very tragic. I was so worried this morning when I heard about the earthquake, but talked with our agency today and was relieved. Now I need to keep praying for those who are affected. Well, I was hoping to post a poll on the blog of our three name options, but can’t figure out how to do it–any tips? (for a Macintosh computer). So maybe tomorrow I’ll just write a post with the three options and readers can vote via comments…. ? Or, maybe we’ll decide on our own tomorrow. Ha. 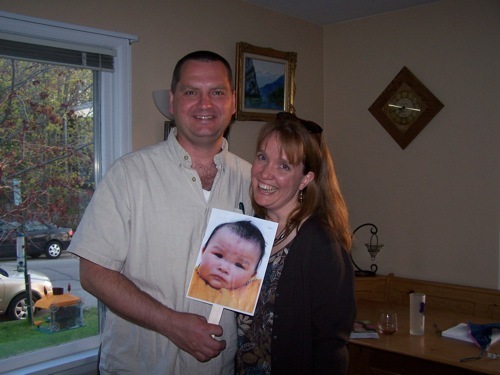 On the adoption front, we’re one step further to our baby! 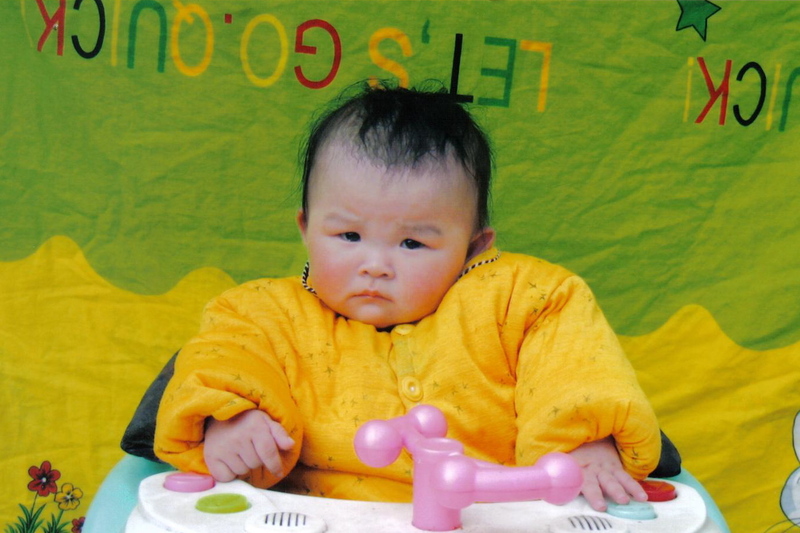 This evening we DHL-ed our acceptance packet back to our adoption agency… stating that we want to adopt Wan Yi Ling (yep, still no English name.. still trying out our options). The process of compiling the acceptance paperwork (including more immigration paperwork, an email to the Milwaukee immigration office saying that our third fingerprint expiration date should be at our house within 2 weeks, etc..) was exhausting. But once we had the packet of information handed over to the DHL guy, it felt fantastic! We can’t wait to meet this little girl. Re: medical report…the other night (Monday) we received the medical report in Chinese. And I called a lady from our church who is from China, and emailed her the report. She called me later to say that Wan Yi appears normal. And on Tuesday we faxed the translated medical report to a pediatrician, who called me to say that everything appears normal as well, based on what little information we have. Our acceptance packet should be in the office of our agency by noon tomorrow. The packet will be sent back to China by May 14th. And from there, we continue to wait. Only now we wait with many copies of the same three adorable photos. 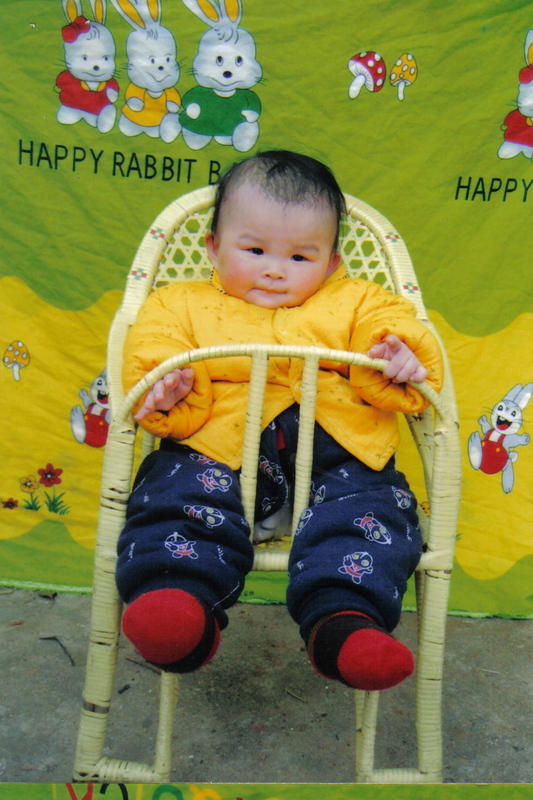 Of our daughter, waiting for us in China. Isn’t she beautiful? I can’t stop looking at her photos. FedEx arrives at some point today, with the official referral documents. We look them over, sign the acceptance paperwork, and send it back. We’re also anxiously awaiting the translated medical report which, apparently, isn’t part of the FedEx packet. Hopefully we’ll get that via email today, so we can fax it to a pediatrician to look over. Also, today I’m working on a care package to send to Wan Yi. This will include: a teddy bear I bought in Vermont at Mary Meyer many moons ago… (if you follow this link, scroll down to “A little hope”) a photo album with family pictures, a disposable camera, some candies for the nannies/caretakers… etc.. Should be fun. Jim made these “fans” while I was on my way home from Grand Rapids yesterday, and met me at the airport, holding one up. So cute. Continued thanks to all your prayers, support, love, comments, emails, love, etc. We are so in love with our little girl–and yes, we’re working on a name, don’t worry!